Increasingly noted for its great Calaveras wineries, Calaveras County was made famous by Mark Twain in 1860 when he wrote the story, “The Celebrated Jumping Frog of Calaveras”. 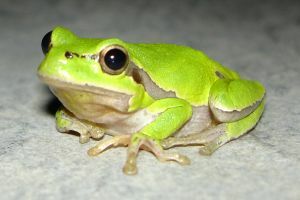 Every year since 1928 the Calaveras Frog Jump is held in Angels Camp during the third week in May. Since then, this area has become famous for its wines as well. Some of the finest wines in the world are produced here. 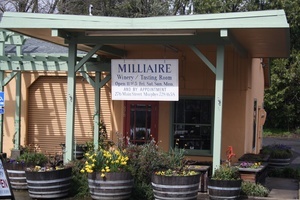 Most Calaveras wineries are located in Murphys, with others being located in Valley Springs and Mokelume Hill. Murphys is a unique wine tasting destination. 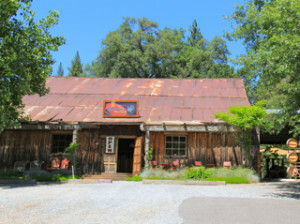 There are well over a dozen wineries all within a short walking distance of each other in the charming Gold Rush town. There are also great restaurants, places to stay, and unique shops to browse. A wine tasting trip to Calaveras County is sure to be an enjoyable visit. 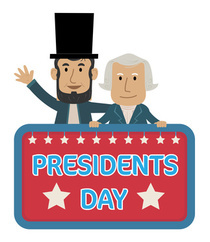 Special wine tasting events occurring annually include Presidents’ Wine Weekend every February, Passport Weekend each June, the Calaveras Grape Stomp in October, and the Holiday Open House each December. 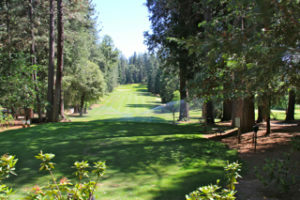 Spend some time in historic Calaveras County soaking up the beautiful scenery, exploring the Calaveras wineries, and sipping the delicious wines of this area. You won’t be disappointed! 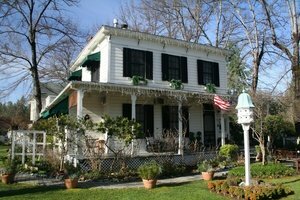 is a wine country bed and breakfast that we thoroughly enjoy. 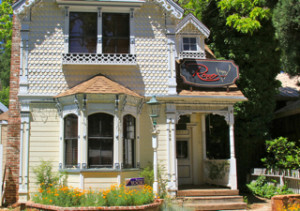 Located in the historic Gold Rush town of Murphys, it is surrounded by Calaveras wineries that are within easy walking distance. 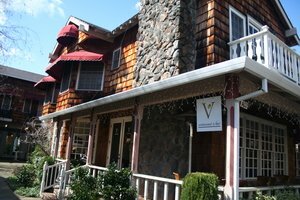 This great wine country restaurant offers fine dining in a casual atmosphere. Be sure to call for reservations. Red wines include Chardonnay and Viognier. Red wines include Cabernet Franc and Zinfandel. They also produce a sparkling wine and a red blend. 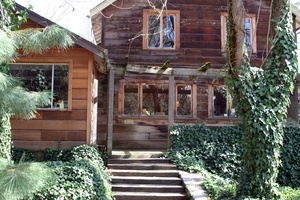 This winery is a limited production, artisan vineyard and winery. All of their wines are estate grown and produced. Wines include Rose, Sangiovese, Zinfandel, and Montepulciano. 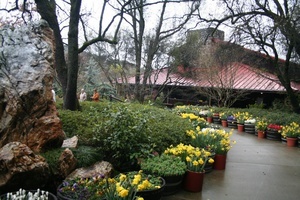 The wines produced by this Calaveras winery include Zinfandel, Cabernet Sauvignon, Merlot, Sauvignon Blanc, Semillon, Merlot, Shiraz, and Cabernet Franc. Wines include Tempranillo, Tenat, Cabernet Sauvignon, and a variety of blends. This Calaveras winery produces Pinot Grigio, Chardonnay, Viognier, Rose, Cabernet Sauvignon, Cabernet Franc, and Vintage Port. Our favorite is the Cabernet Sauvignon. This unique tasting room was originally being built for use as a bomb shelter during the Cold War. 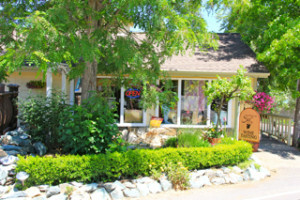 This Calaveras winery specializes in Merlot, Syrah, Roussanne, and Cabernet Sauvignon for your wine tasting pleasure. They also have a nice petite sirah/syrah blend called Sage. Enjoy this family owned Calaveras winery that produces Syrah, Brunello, Chardonnay, Semillon, Sauvignon, Cabernet Sauvignon, Merlot, Zinfandel, as well as 6 Portugese varietals. Our favorite was the Zinfandel. This winery is owned by a woman and 90% of the employees are female. They produce a She-Red and a She-White, both are table wines and a percentage of the proceeds are donated to research heart disease and breast cancer. 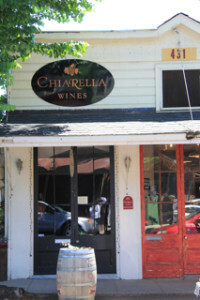 Award-winning wines produced by Chiarella include Zinfandel, Cabernet Sauvingnon, Syrah, and Barbera. 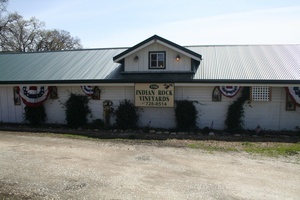 This is a family winery owned and operated by Nathan and Carlyn Carella. Coppermine Winery specializes in producing Handcrafted Bordeaux Wines. Chocolate tasting is also available. What wine does this winery NOT make? Their list of wine includes Primitivo, Rose, Chardonnay, Sangiovese, Claret, Carignane, Mouverdre, Cabernet Franc, Muscat,Cabernet Sauvignon, Mission, Port, and Petite Syrah. Four Winds red wines include Cabernet Sauvignon, Syrah, Zinfandel, Sangiovese, Merlot, Barbera, and Cabernet Franc. White wines include Viognier and Chardonnay. 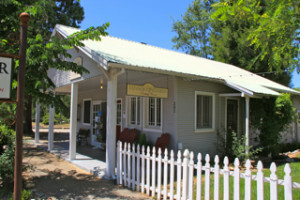 Frog’s Tooth Winery has 67 Acres Specializing in: Petite Sirah, Viognier, Sauvignon Blanc, Grenache, Tempranillo, Meritage, Grenache, Petite Sirah, Fume’ Blanc, and Pinot Grigio. This small family owned winery specializes in unique, adventurous wines. 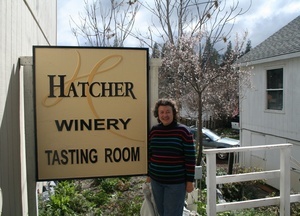 Hatcher produces Sauvignon Blanc, Viognier, Cinsault, Tempranillo, and Cabernet Franc for you wine tasting pleasure. They also have a second label of wines called School Street. Red wines at Hovey include Cabernet Sauvignon, Tempranillo, Cineast, Petite Sirah, and Barbera. They also produce a rose, a sparkling wine, Chardonnay, and a blend. 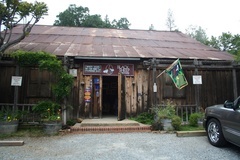 This Calaveras winery is located on an historic site settled long ago by the Miwok Indians. Wines include Chardonnay, Pinot Grigio, Zinfandel, Port, and Rose. Our favorite was the Port. There’s a pond with lots of fish and ducks. There are so many good things happening at Ironstone! The grounds are lovely. The impressive wine tasting room has a 42 foot stone fireplace. There’s a gourmet deli, the Heritage Museum, Jewelry Shoppe, Alhambra Pipe Organ, Culinary Exhibition Center, Outdoor Amphitheatre, and Wine Aging Caves. 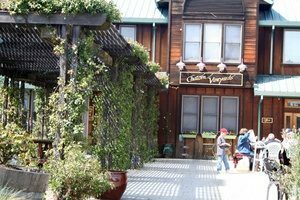 This is one of the Calaveras Wineries that is a popular wedding site as well. Our favorite wines at Ironstone are Symphony and Obsession. Jazz Cellars specials in producing the best single varietal, single vineyard wines available, with a focus on Rhone-style wines, Zinfandel, and Pinot Noir. Visit their tasting room in historic Murphys. 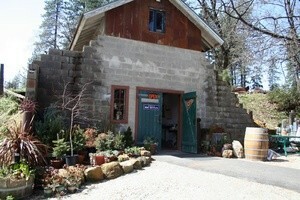 Lavender Ridge specializes in Rhone varietals and produces hand crafted, unfiltered wines in small quantities. Their wines include Viognier, Roussanne, Greanache, Rose, Grenache, Carignane, Mourvedre, and Syrah. 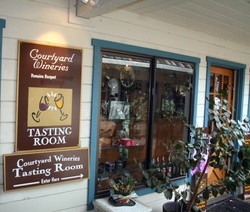 This Calaveras County winery is located in downtown Murphys, a very short walking distance to many other wineries. 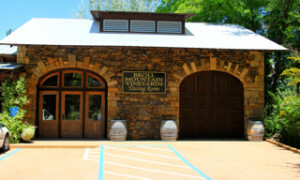 Wines include Sauvignon Blanc, Rose, Zinfandel, Cabernet Sauvignon, and Petite Sirah. They also have a blend and a Dessert Zinfandel. They produce around 2,500 cases of wine annually. 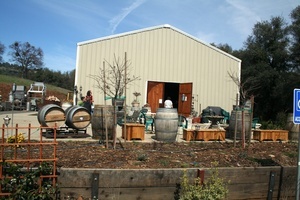 The specialize in small lots of wine made entirely from Sierra Foothills vineyards. Wines include: Chardonnay, Gewurztraminer, Zinfandel, Petite Sirah, Syrah, White Zinfandel, Merlot, Pinot Noir, Port, and Zinfandel Port. This is a small Calaveras winery committed to using only premium grapes and producing small quantities of excellent wine. 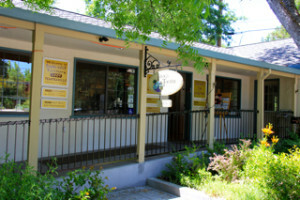 The tasting room is located in downtown Murphys. Wines include Meritage, Zinfandel, Cabernet Sauvignon, and Sauvignon Blanc. Our favorite is the Meritage and the Zinfandel. 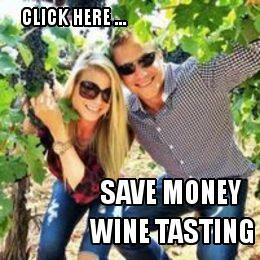 Enjoy estate grown wines. If you want to stay in a vineyard, they have a cottage that you can rent. They also have olive oils and balsamic vinegars for tasting and sales. This Calaveras winery established in 1973 has earned a reputation for producing high quality wines. Their wines include: Chardonnay, Orange Muscat, Cabernet Savignon, Syrah, Zinfandel, Merlot, and Tempranillo. Tanner Vineyards produce Cabernet Sauvignon, Carignane, Barbera, Mourvèdre, Syrah, Petite Sirah, Petit Verdot, Vermentino, Viognier, Rosé and several blends. 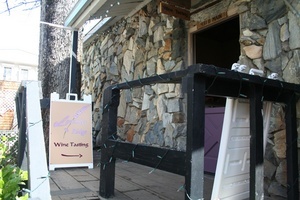 They have a second wine tasting room at 4280 Red Hill Road in Vallecito that has the same hours of operation. They have a large number of varietals including: Syrah, Verdelho, Viognier, Petite Sirah, Marsanne, Rosado, Syrah, and Tempranillo. Many wineries have a winery dog. 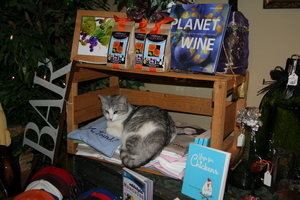 The wine tasting has a cat that loves all the attention of the wine drinkers who visit. As you tour Calaveras wineries, make Twisted Oak Winery a stop. Red wines include Sangiovese, Barbera, Zinfandel, Syrah, and Petite Sirah. They also produce a Viognier. They have a three-bedroom vacation home for rent. 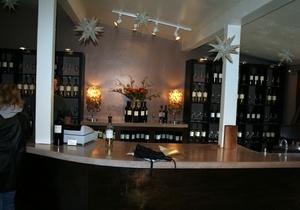 Zucca Mountain is a small boutique winery producing quality wines. They have the only 3 story tasting room in town. You step down into a cave room for a unique wine tasting atmosphere. If you go on the weekend, you may be served by the owners/winemakers themselves. This is a family venture producing Merlot, Zinfandel, Barbera, Sauvignon Blanc, Chardonnay, Sangiovese, Syrah, Merlot, and Cabernet Sauvignon. Our favorites are the Barbera and Syrah. One of the most unique Calaveras Wineries! If you have visited any of these Calaveras County Wineries, please let us know how it went. Please leave a comment in the section below.